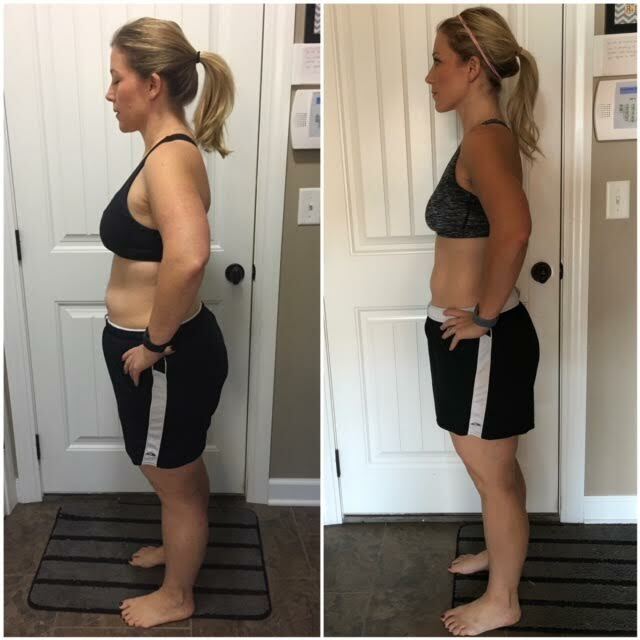 After two c-sections and a back surgery Amy Reinecke wanted to build a strong core, that’s when she found the Bar Method, with which she learned how much she loves to stretch. Amy Reinecke tells us how the Bar Method helped her become strong and healthy, on Women Fitness. I had my second son in June 2015. During his pregnancy I had horrible back pain and nothing I did gave me relief. I became very sedentary because I was in so much pain. About 6 weeks after his delivery I found out I needed back surgery for a herniated disc that was causing the hip and sciatica pain I’d had for months. I was 5’4” and 258 pounds. I asked the doctors if my weight played a factor in my back pain, even though I knew the answer, and was told yes it did, it wasn’t the only factor, but it wasn’t helping anything. I had back surgery when he was 12 weeks old and my oldest son was 3. I had spent years hating my body, treating it poorly and not honoring it the way I should. I couldn’t bend, lift or twist for 3 months so I had to have a nanny to help me take care of my children since I am a stay at home Mom. I believe God broke my body to help me learn to appreciate it for the first time in my life. I began my weight loss journey in November 2015 with the attitude that quitting wasn’t an option, and no matter how long it took, I was going to reach my goal this time. I wasn’t able to be the Mom I wanted to be because of my weight and I was done making excuses, I was ready to change and become the woman I knew I could be. I joined Weight Watchers in November 2015 with a lot of drive and determination. I chose Weight Watchers because no food is off limits. I am a firm believer of all foods in moderation and the Weight Watchers plan allows that. I had lost weight and gained it back more times than I can count in years prior. In 2008 I went to therapy for binge eating disorder. I had a horrible relationship with food since I was in elementary school and I’ve spent the last decade learning how to have a healthy relationship with food and my body. Having back surgery was a turning point in my recovery. Before then I still struggled quite a bit with binging, even though I’d gotten better than I was, but since back surgery I finally realized I needed to take better care of my body, and that needed to start from the inside out. I have been on Weight Watchers multiple times, but this last time has been the most successful, and not just on the scale. I have chosen to feed my body wholesome food that makes me feel good, and I still indulge, but I do not binge. That’s not to say I don’t struggle sometimes, but I really have learned how to handle those situations and I forgive myself if I have an “off” day. I am not perfect and no longer expect perfection. Forgiveness is what I haven’t had before, I always beat myself up so horribly that it eventually led to me giving up. No more guilt, no more punishing… if I make a choice I accept it and move on. 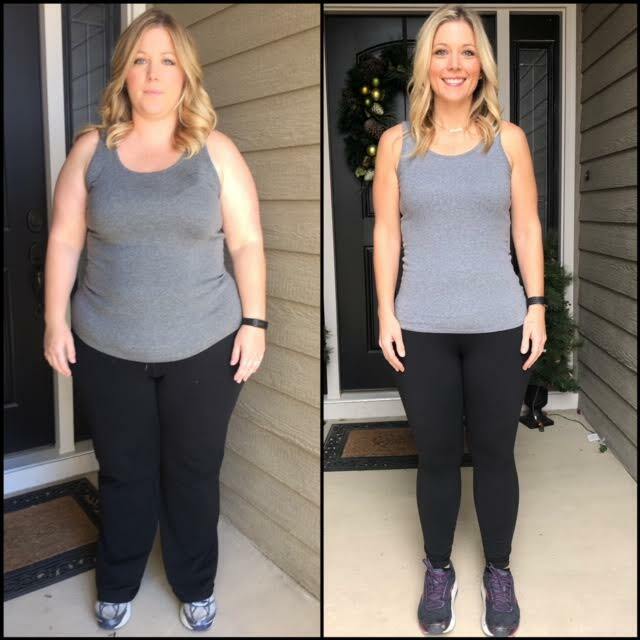 I reached my goal weight in December 2017 and have lost 104.2 pounds by following the Weight Watchers plan and using Bar Method for the last year of my weight loss journey. I started WW for the first time in 4th grade and had never once reached goal until this time. That was an emotionally charged day!! Currently I attend Bar Method 5 days a week. When I started I hadn’t been in an exercise class in a few years, so I started going 3 days a week and have worked up to 5. Bar Method has helped me develop a stronger core, which is essential for someone with chronic back pain. I love the results I’ve gotten from Bar Method, but my motivation for making it a priority is to continue to build a strong core to support my back. I also walk and run during the warmer months in Kansas. I wear an activity tracker and try to achieve at least 13k steps per day. I use the StepBet app as well to keep me active and accountable to move more. Breakfast is usually eggs and Advocare Spark (I do not go a day without it!) I also put collagen in my Spark which increases my protein for breakfast. Lunch during the fall/winter is usually soup. I love soup and how easy it is and can be packed with veggies. Soup fills me up and is great to plan ahead and have as leftovers for lunch. Dinner is always different. I follow a lot of food bloggers and I actually work for a food blogger as well, so I love scouring Pinterest for new recipes. I search for recipes that are Weight Watchers Smart Points friendly, but also are family friendly. My family eats what I eat. I think that’s really important as someone who struggled with poor body image and binge eating disorder, for me to raise healthy eaters who treat and feed their bodies with love and respect. I encourage balanced eating, but they get treats too. Food isn’t labeled as “good” or “bad” in our house… food is food. My go to snacks are Quest bars, fruit or pretzels. I always have a quest bar in my purse so I have a healthy option if I am out and about and need a snack. My two young boys are my motivation. After back surgery I was unable to do a lot of things for them because of my restrictions. I had the realization in recovery from surgery that food was taking the happiest times of my life away. Binging was robbing me of being the Mom I wanted to be. It was difficult to play with my children, I felt self conscious all the time, I worried about what people thought of me and I was in chronic pain all the time. I didn’t want to live like that anymore. This time it was more than just the number on the scale, I needed to get it right this time, and it needed to start on the inside. I wanted my boys to have an active and healthy Mom. I wanted them to love exercise because we’ve done it together as a family. I wanted them to remember me cooking healthy and exercising so they never have to feel like it’s something they ‘have” to do, rather something they “want” to do. I started this journey to become a better mother and wife, but what I learned is that I also wanted to become a happier person in general. As I’ve gotten healthier, that’s exactly what has happened. I feel thankful for the broken parts of my journey over the years, they have made me appreciate the person I’ve been able to become because I wasn’t afraid to put in the hard work. So, another motivator to continue on this journey is to keep fighting for the woman I want to be, while honoring the woman I used to be. I don’t hate the “old Amy”. I’m thankful for her. Without her struggles, I wouldn’t appreciate the peace I have found today. My 2018 resolution is to continue honoring my body and treating it with respect. Every time I have lost weight in the past, I’ve gained it back. Not this time. This time I am committed to the new person I’ve become. I love the Weight Watchers program and serving as a WW Ambassador. I love the Bar Method and how it has made me strong from the inside out. I truly feel like this time it’s clicked. I really have changed. This wasn’t just to lose weight. This was about becoming more me than I’ve ever been. I never want to lose sight of that. The woman I’ve become fought really hard to get here, and now, being at my goal weight I want to continue getting stronger and build endurance and become the fittest I ever have been. As a 35 year old mother of two, it feels awesome to be able to say that and know I can do it, too. 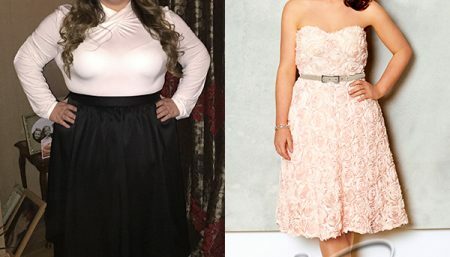 Real Weight Loss Stories How Fear Of Being An Overweight Bride Changed Jennifer Ginley's Life For Ever!